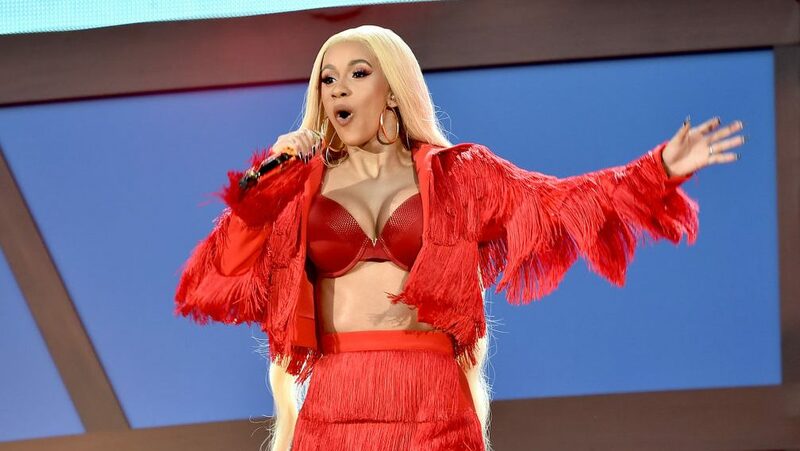 Cardi B responds to her critics about trademark application for "okurrr"
Rapper Cardi B is working to cash out on her coined phrase "okurrr". The remix of the word “ok” into “okurrr” has become a phenomenon. So much so that Cardi’s Super Bowl commercial featured her and people in the commercial repetitively saying, “okurrr”. Although Cardi continuously uses the phrase. Her critics are capitalizing off a phrase that wasn’t hers, to begin with. According to Refinery29, the term first publicly appeared in a comedy sketch back in 2010. It then became publically popular in RuPaul’s Drag Race. The Kardashian’s are also noteworthy in the term “okurrr” consistently using it while on Keeping Up With the Kardashians. But Cardi was not happy with some people’s response. “So you hoes is mad because I trademarked ‘Okurrr,” Cardi said in an Instagram Live session, mentioning how often she hears people say the phrase because of her.